Car buyers in the UK purchased more diesel vehicles than petrol cars in 2015 for the first time in five years. The data, from the new Society of Motor Manufacturers and Traders (SMMT) report into car sales trends over the last 12 months, has come as a surprise to the industry which has seen strong diesel sales over the last few years. Information like this can play an important part in car dealerships’ purchasing decisions. Trends in car buying are useful when deciding on your stocking policies for the year. If you are buying in more petrol than diesel models, be sure to check your motor trade insurance policy to ensure you are properly covered for the stock you have in the showroom. The new data shows that a record number of new diesel cars were sold in 2015, with figures standing at 1,276,871, but petrol cars just inched ahead on market share - 48.8 per cent of the market was petrol compared to 48.2 per cent for diesel sales. However, the change comes after diesel-engine vehicles had dominated for years. Diesel vehicles commanded 51 per cent of new sales in 2011 and figures for 2014 show that diesel sales were 55,764 ahead of petrol engine cars. 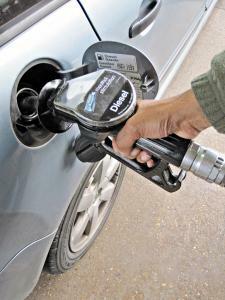 Industry analysts point to news stories during 2015 as potentially playing their part in turning buyers towards petrol models. The VW emissions scandal in September may have made buyers think again about just how clean and efficient diesel models are compared to petrol cars. In addition, the price of fuel fell during 2015 with petrol significantly cheaper than diesel at various points over the last 12 months. The SMMT figures also showed that electric cars and hybrid vehicles are taking a larger share of the new car market, at 2.76 per cent. The volume of alternatively fuelled vehicles sold in 2015 was more than in 2010, 2011 and 2012 combined.